I remember when we first moved to Albania being overwhelmed about learning another language. I remember this older German lady telling me “you know how you learn a language? Vone vord at a time.” We did everything. Lessons, notecards, listening, reading, writing, practice, practice, practice. And after 6 months of living in Albania we shifted every relationship we had to Albanian only. It was hard. I couldn’t understand or speak, I felt like I just stood around trying to hear words I recognized. Now 4 years later, its easier. But it is still a ton of work. All that work so that we could communicate to these people the truth of God in their own language. So we could understand their thoughts and hearts. So that we could reach as many as possible. And then it came time to preach in Albanian. It wasn’t my choice. The pastor I work with walked up to me and said, “next month your preaching in Albanian.” I was not ready but I knew he was right to push me. Right before that first sermon was one of the hardest I ever prayed. I prayed God would seriously speak through me cause I wanted to preach God’s Word with authority and honesty. 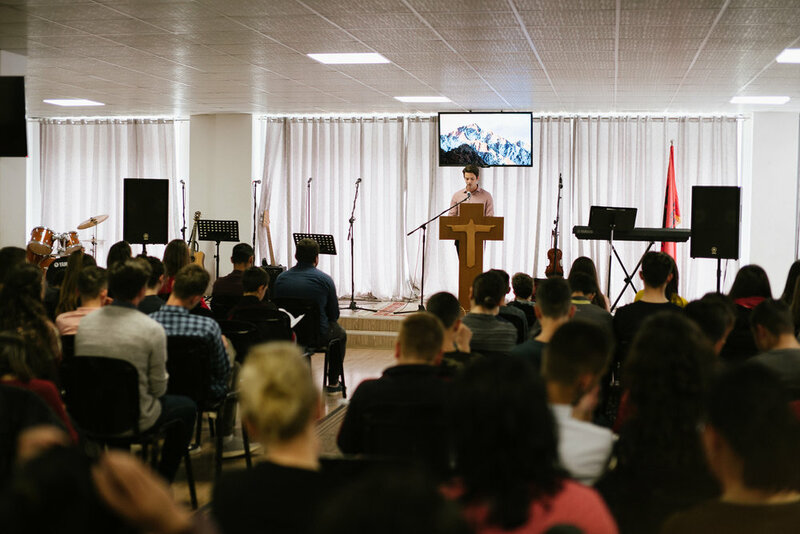 God has given us the mission to strengthen the church of Albania. If it means we evangelize, we evangelize. If it means we counsel, we counsel. If it means we preach, we preach. But we are committed to do that in the heart language of these people.